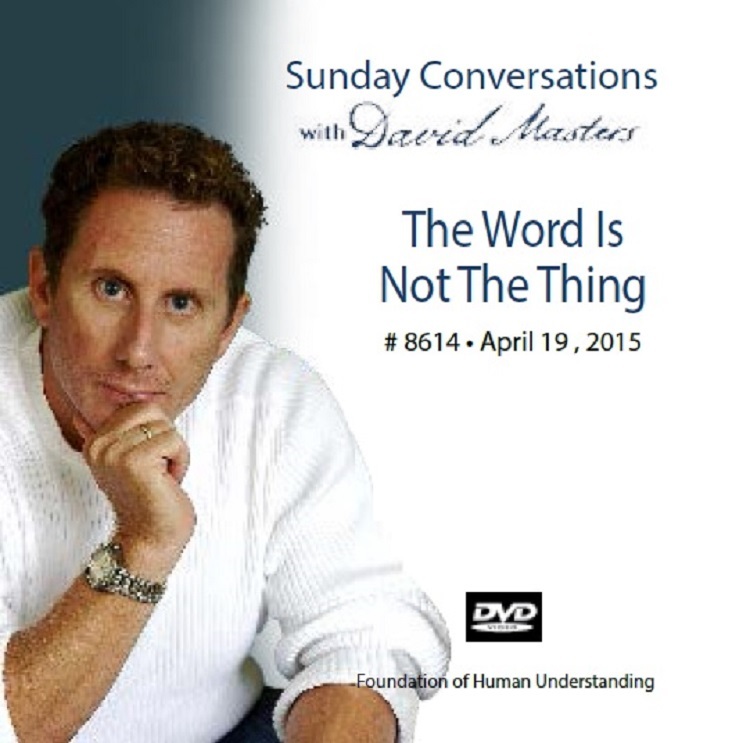 "The Word is Not the Thing"
This week, David Masters takes an audience question that sets a powerful theme: Where do thoughts come from? He begins with the brain and then goes deeper; looking at temptation, fear, food, and "the forces of darkness". Another audience member speaks of awakening from being a throw-away person, where all her life she has felt guilty. Her awakening is quite stirring. David talks about the meaning of "Be Still and Know", "the hungry mind" and the importance of becoming "aware of words and sounds". Then there is a bonus. David invites Charles Williams to lead the discussion. Charles gives a compelling look at what it is to wake up, show up, and watch in the right way, and concluding that your life can be unraveled before your eyes.